The health conscious American will devote time and energy to positively influence what they know to be important – the brain and the heart. These organs are vital to our existence, but what some people don’t realize is the importance of our gut. That’s right, your entire digestive system. The purpose of this article is to get your mind churning about your gut health. The article will provide a few tips to get your started, but to really improve your digestive health we recommend reading the books, “The Gut Makeover” by Jeannette Hyde, Nutritional Therapist BSc., and “Gut Balance Revolution” by Gerard E. Mullin, MD. The vital role our gut plays should come as no surprise. If you think about it, our digestive system takes in what we consume and uses it to fuel our entire body! This fuel ranges from our mental health (our moods) to our physical health (our activity levels). The concept of ‘thinking with your gut’ makes a lot of sense! The digestive system is considered to be our ‘second brain’ because communication travels from the gut to the brain, giving the gut a vital role in decision making according to an article in PubMed.gov. 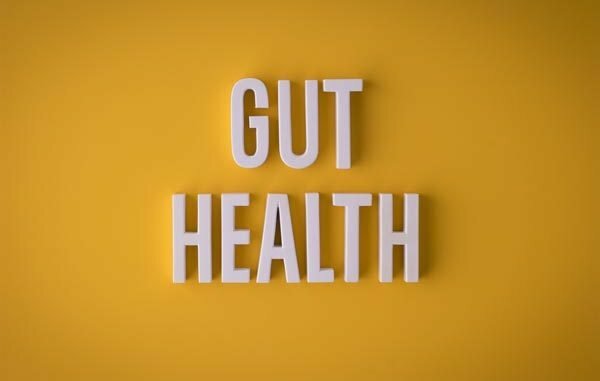 Gut health refers to the health of the bacterial cells inside your gut. These cells have a large role in providing our bodies with vital sources of healthy living bacteria for digestion and also impacts our vulnerabilities to diseases. The microbiome is the blanket term for all the bacteria that currently lives in and on you. What is profound is how much bacteria comprises the microbiome! According to Jeannette Hyde, Nutritional Therapist BSc., there are 100 trillion bacterial cells living in and on our body – which may be up to ten times more than the human cells. “We may only be 10% human…” but the rest is comprised of the bacteria that calls our body home. A 12 hour fast can benefit your body by increasing the diversity of bacteria species in your gut and can also reduce the amount of calories absorbed from your food intake. Simply count the hours between dinner and breakfast to insure your body has an intermittent fast. Probiotics are foods that contain live bacteria that benefit your body. Some of these foods are fermented milk, sauerkraut, kimchi, pickled fermented veggies, and yogurt. Your body produces more saliva upon smelling good food. This saliva aids your body in digestion. When you cook, you give your body more time to salivate and chewing slowly will allow the food to mix with the saliva. The next time you tell a friend to ‘think with their gut’, you will realize how truthful that advice is. The gut plays such a vital role in communicating with our brain by directing our decisions and dictating our moods. When venturing into the journey of improved gut health, practitioners recommend a phase system where certain foods are eliminated and reintroduced to help your body adjust. Check out the two books we recommended at the beginning of the article to start your journey toward better digestive health!